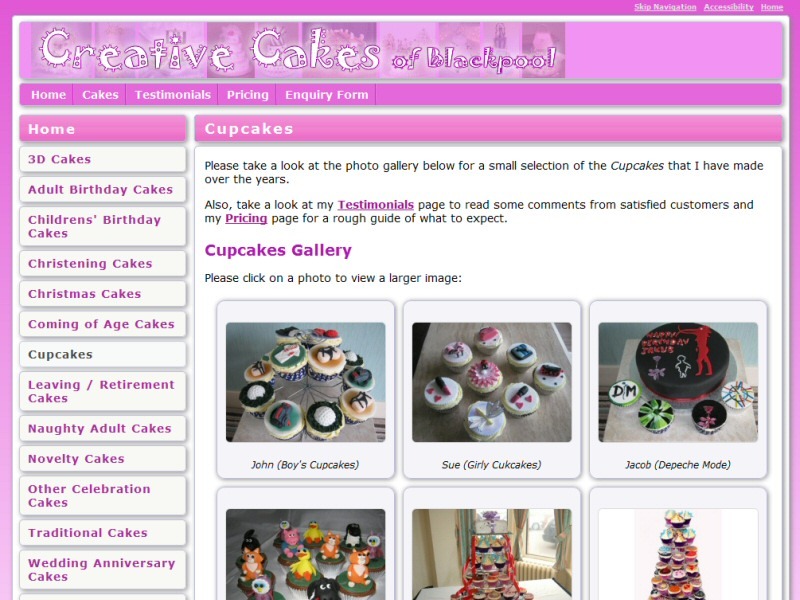 Successful portfolio website with upload facilities, showcasing the work of a Blackpool cake makerWhether you're a business offering creative products or an artist, model, photographer or similar, a photo gallery website is an excellent way to showcase your talents or indeed yourself in an on-line portfolio. EasierThan Website Design offer practical on-line galleries, which are designed to work on all platforms smoothly, including PCs, Macs, iPads, tablets and mobile phones. If you have a specific look in mind for your website, there are a great range of photo galleries available on the internet and we can implement any style you request. Our focus is on end results and as such, we can also provide the necessary Search Engine Optimisation to ensure your site gets found on Google and other search engines. All of our Website Design solutions include Domain Name Registration, website hosting and Email Addresses as standard. Dependent on your need to regularly publish new photos, we offer bespoke Content Management Websites to allow you to quickly upload and label your own images. Alternatively, we can manage them for you on a reasonably priced annual or ad hoc fee basis. Revamp of existing successful business website featuring an expandable photo gallery with customer entry. 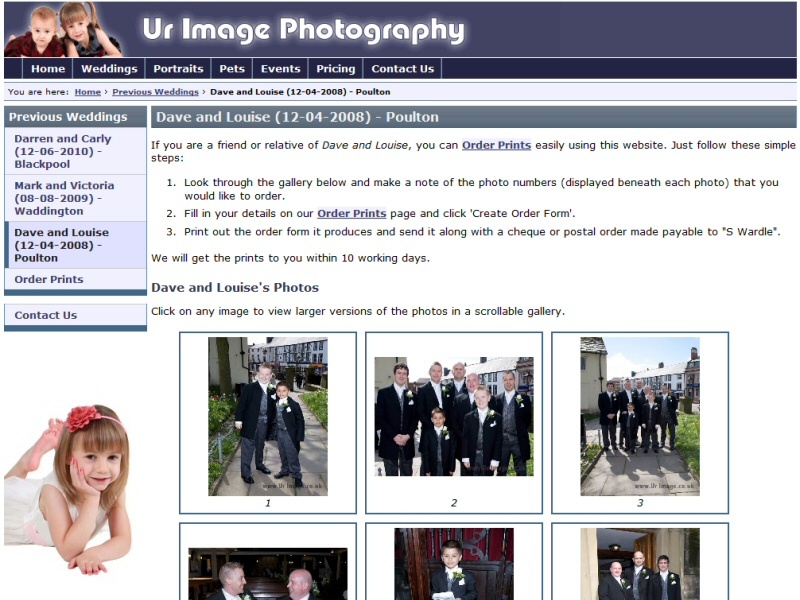 Gallery website featuring display of recent weddings to allow for ordering prints.